Jubilarians gather for a photo in 2012. Back row, l-r: Sisters Sandra Brunenn, Margaret Suerth, Martina Brinkschroeder; front row, l-r: Jozefa Seskar, Michelle Rheinlander. 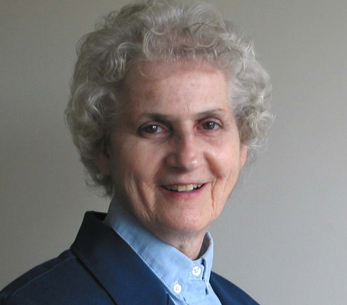 Sr. Michelle Rheinlander, OSB, 1922-2015, spent much of her life among people with whom conversation was impossible. Sister Margaret (John Marie) Suerth, O.S.B., 82, of St. Mary Monastery, Rock Island, died Saturday, Oct. 4, 2014 at the Monastery. Sister Cabrini A. Rael O.S.B., 85, of St Mary Monastery, Rock Island, died Monday, October 14, 2013 at UnityPoint Health-Trinity, Rock Island. A Mass of Christian Burial will be 10:00 a.m. on Thursday in the Chapel of St. Mary Monastery, 2200 88th Ave. W., Rock Island. Burial is at Calvary Cemetery, Rock Island.